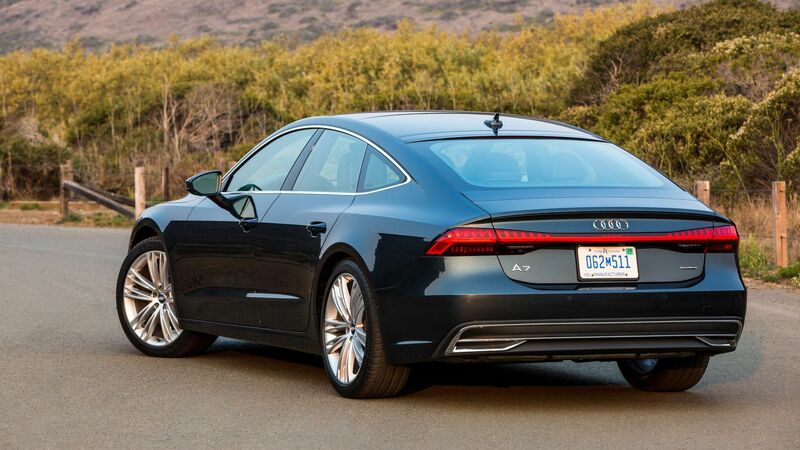 When I wasn't riding around in the back seat of AV test cars during my recent trip to Silicon Valley, I had the pleasure of driving myself in a 2019 Audi A7 quattro. The big picture: The five-door coupe, outfitted with Audi's Prestige package and just about every other optional feature you could imagine, is elegant and even soothing to drive. Starting at $68,000, my top-of-the-line A7 had a price tag of $85,240. Details: It's loaded with technology, including a new touch response system on the center console that lets drivers use natural handwriting to issue commands by writing letters or words with their finger. As a lefty, though, the system was practically useless to me. I didn't have the dexterity to write letters with my right index finger so I opted to switch to the traditional keyboard input. Driver assistance features abound, from adaptive cruise control to systems that will automatically brake or swerve to avoid collisions. With up to 24 sensors, the car can even protect occupants when exiting the vehicle by warning them not to open the door if cars or bikes are approaching from behind. It can even delay the door handle release for a couple of seconds. The bottom line: That's what I call an intelligent vehicle.